Most of us were taught that to reach our goals, we have to work hard and fight every step of the way. But it�s simply not true. 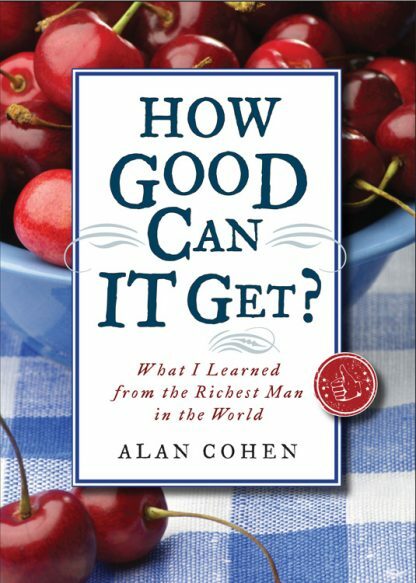 Everything you need to know to achieve personal, financial, career, and relationship success is here in this modern-day, feel-good parable by bestselling author Alan Cohen. Take an inspirational journey with Mr. Everit, the avuncular owner of a wheelbarrow factory, and his management trainee, who challenge us to overcome our preconceived notions about money and our ability to create the good life. This touching prosperity parable illuminates the importance of attitude, expectation, and self-worth as keys to personal and business success. Cohen offers practical examples and tips in the context of an intriguing, heartwarming story with a surprise twist. You�ll discover important lessons about changing from a fear mentality to a wealth mentality, overcoming small and self-defeating modes of thinking, and taking care of people while letting life take care of you. Cohen�s charming modern-day parable teaches us to overcome fear, relax, and enjoy the richness life has to offer. A mix of Paolo Coelho, Spencer Johnson, and Forrest Gump, it is a good tale about how to create the good life.